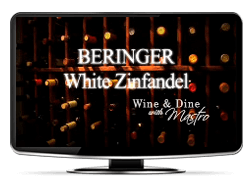 Beringer Vineyards was the first winery to give public tours in 1934, so they are definitely experienced in tastings. If you’re ever in Napa, check them out! 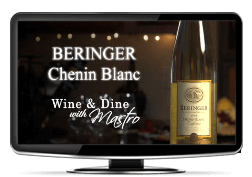 This Chenin Blanc features a light, straw-yellow color with a tinge of honey. Flavors of melon and pear. It would go great with seafood, poultry or penne a la vodka. The Beringer Winery of Napa Valley, Calfornia is open daily with several different public tours and tastings to choose from. This Pinot Noir has a dark maroon color. Toasty oak with hints of chocolate, dark plums and cherries, well-balanced acidity with a great Pinot Noir taste. Believe it or not, great with a hot dog! 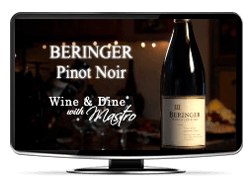 Beringer has been producing fine Napa wines since 1876. One of the best ways to experience wine is to stay at a nice bed and breakfast and tour the Napa Valley, so make Beringer one of your stops! Their White Zinfandel boasts a pale peach salmon color with full fruit flavors of strawberry and watermelon. Great at the beach! 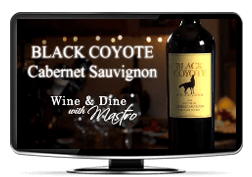 The fruit for this wine comes from the Stag’s Leap District of California’s Napa Valley. Deep dark, rich burgundy color. Big rich cherries, creamy smell, mildly oaky. Goes well against a big hearty steak or pulled pork barbeque. From the Boschendal Estate located in the Dwars River Valley, South Africa. 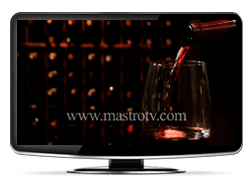 This vintage offered a long maturation period producing wines with rich flavors and a deep complexity. Rich deep ruby red color. 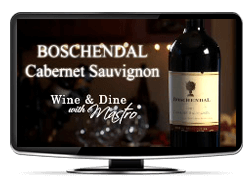 Big rich berries, big cherries, spicy, well-balanced, full rich body, mild tannins. 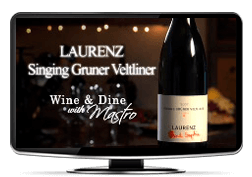 Goes great with a steak or bollenaise sauce with pasta. 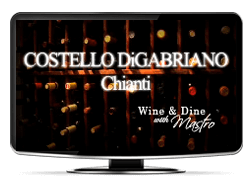 From the Costello Digabriano Vineyard of Tuscany, Italy. Deep bold garner color. Burnt wood smell, vegetal flavor, pungent. 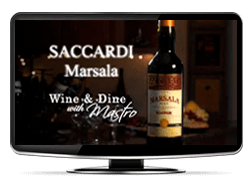 The fruit for this wine comes from vineyards throughout the Piedmont Region of Italy. Arneis is one of Northern Italy’s oldest native grapes. Beautiful golden color, delicate bouquet, fresh, fruity. Goes great with cheeses like jarlsberg or humboldt fog. 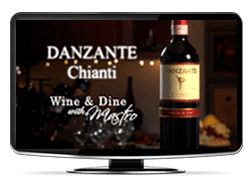 Danzante Chianti has deep ruby red color and an open, fruity bouquet layered with fragrances of cherries, wild red berry and spices. 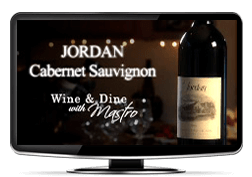 The balanced complexity and the vivid, persistent fruit flavors of this intense red wine make it the perfect accompaniment for a wide variety of foods. “Donnafugata” means “fleeing woman” and refers to Queen Maria Carolina who in the 19th century took refuge in Western Sicily where the vineyards are today. Fruit for this wine comes from vineyards throughout Sicily. Clear, straw yellow, mild effervescence, honey, citus, well-balanced, great amount of feel, soft. Goes great with any seafood or by itself. If you like pinot grigio, you’ll like this! 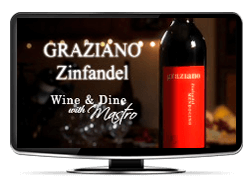 This zinfandel comes from more than 10 different vineyards in Mendocino County, California. Nice color, smells great. Beautiful taste, full fruit forward, right in your face. Long and lingering, beautiful on the palate. Tastes great with a steak! 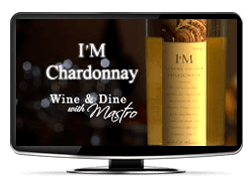 “IM” stands for “Isabel Mondavi” and she loves chardonnay! Fruit for this wine comes from the Knights Valley, Alexander Valley and Russian River Valley of Sonoma County. Beautiful golden yellow color, clear, full floral. Fruity, apples, citrus, well-balanced, beautifully round and bright. Goes well with a cheese platter or with fish or chicken, any time of the year. 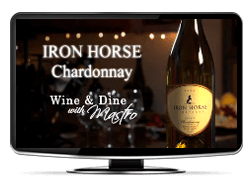 The winemakers at Iron Horse Vineyards in Sonoma, California have the advantage of “precision farming” – using the latest GPS technology to help make decisions about all the aspects of great growing down to the harvest. 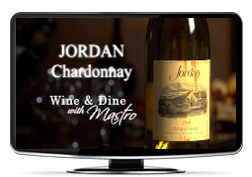 This chardonnay’s fruity taste includes honey, lemon, apples, pears and a little bit of tangerine. Would go great with seafood or a steamed lobster! 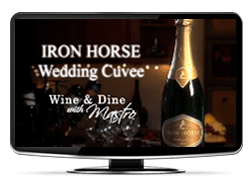 This sparkling wine is one of Iron Horse Vineyards’ most popular and romantic wines. Elegant with a creamy texture, great for a romantic night in. Pale and straw-colored with tiny bubbles that are indicative of a finely-made sparkling. Full fruit flavors of citrus, apple and peach, but not too sweet. Try it with some chocolate – it pops! Fruit for this wine comes from Sonoma County’s Alexander Valley, world-famous for its cabernet sauvignon grapes. Beautiful garnet red with happy bubbles. Big dark cherries, robust, well-rounded, good balance, slight tannic at the end. Put this against any steak or spinach – a kickin’ wine! This Austrian white comes from the Kamptal and Kremstal areas where the warmth of the Danube Valley meets the cool air of the Waldviertel region. Nice honey yellow color, slightly golden, slightly effervescent with a light silkiness. Will go great with a nice coriander chicken. 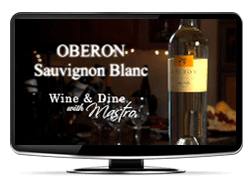 Oberon produces wine from grapes grown in vineyards throughout Napa Valley and California. Grapes from this harvest culminated a long, cool growing season, making for a juicy, rich grape. Rich garnet, some ripe plum, smells great! Big, full, rich, ripe cherries, full-body, dark, heavy-duty. A great wine to go with chocolate or chocolate cake, they complement each other really well. Fruit for this wine comes from vineyards in Oakville, Rutherford, Stag’s Leap and other areas of California’s Napa Valley, a great place to explore and experience wines. Straw-like color, really light. Citrusy taste with a hint of grapefruit. Will go great with any kind of fish dish, light chicken or cheeses like jarlsberg. 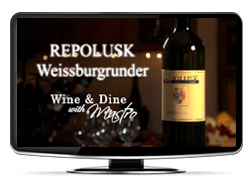 This wine comes from the most southern point of Steiermark, Austria. 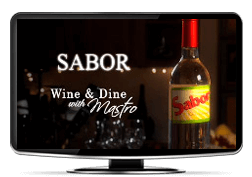 The region has warm days and cool nights, which enhances the aromas of the wine. Pale yellow color, slight effervescence. Smells of yellow apple and pear. Nice crisp acidity, beautifully well-balanced. Goes great with a cheese board or any kind of chicken or fish dish. ¡Que differente! (Definitely different!) From the North Fork of Long Island’s Martha Clara Vineyards, this wine is infused with pineapple and coconut with hints of honey. Unlike any other wine you’ve ever had! Goes perfectly with seafood like lobster rolls, a Long Island favorite. This wine comes frome one of the most beautiful islands in all of the Mediterranean: Sicily. Deep amber color. Smells of plums and brandy. Prune flavors, rich and intense, full-bodied, creamy texture, nice clean finish. Would make a great apéritif, and you can use it in a chicken or veal dish. This wine comes from the Kamptal region of Austria, where the slopes are so steep they can barely hold the soil. 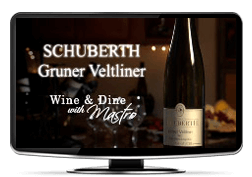 The Gruner Veltliner grape can only be found in Austria. Pale yellow color, hint of grapefruit and citrus. Beautiful acids, well balanced, mild fruits, very dry. Would go great wth any kind of cheeses, when you mix them together, it just pops! 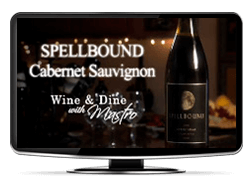 Spellbound was created with a vision of producing wines from unique, maturing vineyards in California. 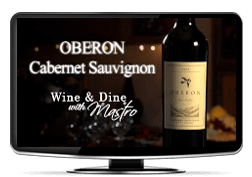 This cabernet sauvignon sports a bold, deep ruby color. Hints of spice, smells really great. Big cherries, bold tannins, but not too much. Would go great with a big ribeye steak. The “Weingut Strauss” (Strauss Wine Estate) started in 1810 under the name “Schopper” and is located in Steinbach, Austria. 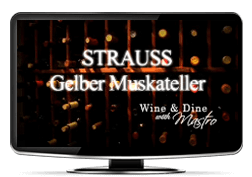 Their Gelber Muskateller has a light straw color, with a touch of green and a little bit of effervescence. Delicious aroma: bananas, lemons and a hint of honeydew. Really well-balanced, dry, light, fresh. Great for any occasion as an apéritif, or with some Asian food. 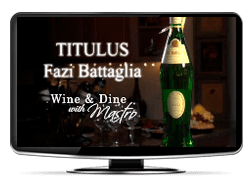 The fruit for this wine is the verdicchio variety and comes from the Marches region of Italy. Really fancy beautiful bottle that features a little scroll with a “secret” message. Golden straw yellow. Light aroma with barely a hint of lemon or lime. Well-balanced, light acidity. Nice for a summer picnic with some chicken salad and some light cheeses. This wine is produced and bottled in the Sona region of Italy, in Verona. Deep rich, ruby color. Big spiciness right off the top, big cherries with a hint of eucalyptus. Nice and different. Will go well with pasta in red sauce or a steak.